Anyone for a Post-Mortem on a Knee Replacement Recovery? First of all, I am a big advocate of using the internet to enhance your knowledge of almost anything. I do however realize that all shared wisdom is not equal. There are two extremes when it comes to looking for information online pertaining to knee replacement recovery. You will either encounter marketing speak (knee replacements are big money, folks) or low level; "I was a patient once and my experience was ....". Sadly, there is very little in between. Most people need a little help recognizing the dangers of both types of information. 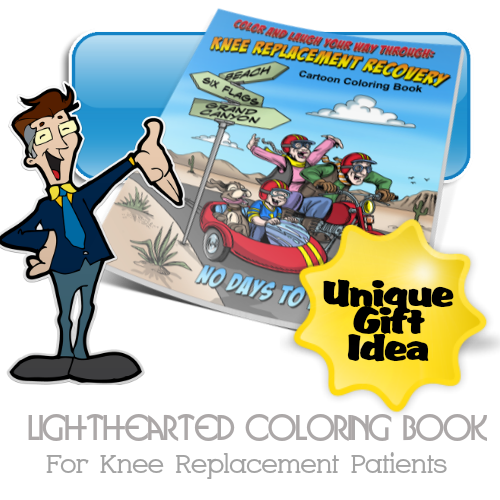 During my internet travels, I recently came upon a man who shared extensively about his journey recovering from a total knee replacement on a Squdioo page. Artyfax as he calls himself does an excellent job of compiling references and detailing his almost 20 month journey recovering from a knee replacement. If you want to read about my diagnosis of his situation where I inject my thoughts and comments overlaid directly on his story, you can read that here. Remember also that Artyfax is journaling from the UK where they have socialized medicine. Go on any blog or forum and you will find folks laboring with gobs of misinformation about how to recover. Sorry my UK friends. It's the kind of thing that made me stop practicing physical therapy and start writing. I hate to see people go through this kind of ordeal when it is so avoidable!! And by the way don't think that just because his story is about a UK recovery that it doesn't happen in the United States as well. He was given exercises to be completed just like everyone else. So what happened?